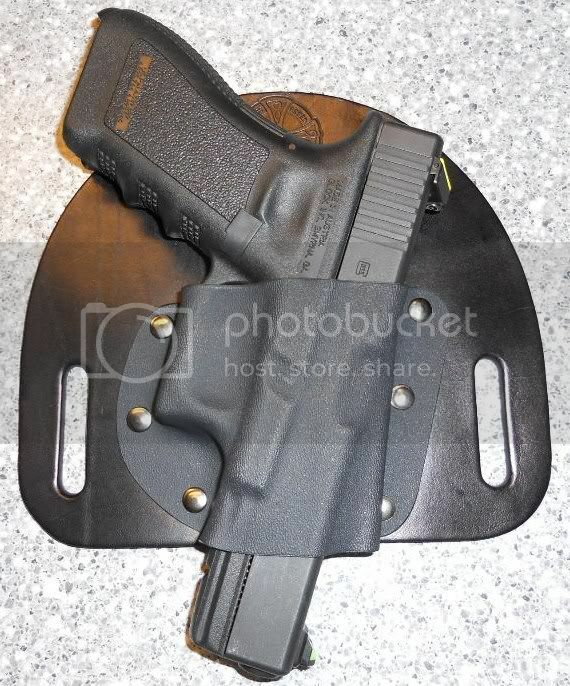 With is flat back and well spaced belt loops, the SnapSlide pulls your gun in very close, offering maximum concealment. 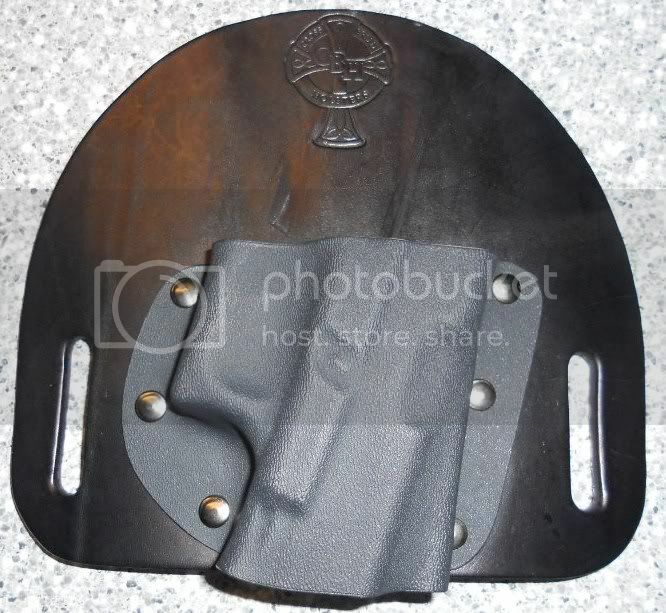 The tall and wide platform of the SnapSlide is also very stable and will not sag or droop away from the body in the grip area as so many generic belt holsters tend to do. Your gun stays flush against you and out of the way, completely hidden under a loose garment until you need it. Since it is an OWB and will be visible on the belt when appropriate, we offer the SnapSlide in three finishes, Field Grade, Bomber Brown and Dress Black. Bomber Brown and Dress black versions have a layer of top quality garment leather laminated over the outside which results in a more refined look for those who prefer it. This outer layer of leather is permanently bonded to the holster and will look good for years to come. The SnapSlide is intended for 1.50 inch belts, and will also work with a good 1.25 inch belt. As with all our holsters, the SnapSlide comes with a two week try it free guaranty and a lifetime warranty. The optional Sweat Guard protects your grip from you and you from your grip.